Here’s the thing. When you step up, step out, and try, you never really know how it’s going to turn out. Truth is, we’ve been struggling for a while. We’re not making enough money, our ideas continue to fall flat, and the long term outlook doesn’t suggest that continuing to push through is the answer. We’ve been trying to get this beast (whatever that is) up in the air for long enough. We’ve run out of runway. We’re going home. Yes, it feels like failure. Like we didn’t try hard enough, or push far enough, or simply do enough. Like we’re giving up. Yes, it hurts. A lot. Giving up on a dream is terribly painful; in my heart, in my head, in my gut. Yes, it’s for the best. We’re not happy; the goal has always been to be happy so moving toward that on an altered path is better than continuing to push along a path that’s not working. Yes, we’re excited. The future always holds such possibility; we still don’t really know what it will look like for us but, as always, we’re excited to see what it holds and how we can shape it for ourselves. We do know a couple of things. We’re looking at Vancouver or Toronto as our next new home. Each has tremendous pull for us. I adore Vancouver and have long dreamed of living there; Toronto holds some of our dearest friends and connections abound. We’ll be happy in either place. I’ll continue trying to build my new business. I think it’s the first thing I’ve started that really has legs. I’m excited to see where I can take it and what it will look like a year from now. If only it had come to me a little earlier, a little farther from the end of the runway. We can’t think like that though; looking back does no good, we can only look forward. And so, here we go, taking another Giant Step in this journey of ours. Wish us luck. It’s true, James, it’s true. Thanks so much for your support this week Jeannie. First, even though the impetus for this post isn’t one that I love, I do really love your metaphor of running out of runway. It’s perfect, so kudos to you for that. Second, as many have said (and will say), you haven’t failed. Going home isn’t a failure, just like pitching ideas out to the world and seeing whether they’d result in a home run wasn’t a failure. The real failure would have been in not trying at all. So this didn’t work out the way you had hoped? That just means it’s time to try something new. Your goal is happiness and freedom, and I really believe you’ll be able to build that for yourself, even if it comes about in a more circuitous way than you had planned. I think these hibernation phases, where we plan and lay our foundations are really important, and you’ll go into this next one with more information than you had the last time. Whether it’s Toronto or Vancouver (for now), it’s all a new adventure. And it’s still a giant step, just in a different direction! ‘The real failure would have been in not trying at all’. Truth! That’s what we said when we headed out – there is no failure, only not trying. Thanks for the reminder!! How can you even think failure having spent so many years following your dreams. It’s just another chapter in your story. Good luck in finding your next home. Love you Mom. Mom – you are such a great support. Thank you SO MUCH for always having our backs! We’ll see you soon! In just over two years you’ve both seen and accomplished more then most in a lifetime. Chin up and see you at the Bengal Room! Thanks Ron. I hope we do see you soon at the Bengal Room! I think so too Audrey -there’s no failure in trying. That ferry ride to you guys is one of the draws of Vancouver! I hope we see you soon! NOOOO!! I’m so sorry you’re having to switch gears and go back home, but it does sound like the right decision right now. I really think your new project has some good potential, so I’m totally rooting for you on that. And maybe some stability and familiarity in Canada will do you both some good, and you can regroup, replan, and find a different direction altogether further down the road. I have confidence that this is not the end of your big adventures, that you will come up with another plan someday. And no, going home does NOT mean you are a failure! It IS the right decision; of that we’re sure. We have, obviously, put a lot of thought into this and feel it’s right for both of us right now. Who knows what will come but we will be happy and that’s all we’ve ever wanted. Thanks so much for all your support Ali, I really appreciate it! Good for you guys! In a way i think quitting the nomadic lifestyle takes just as much courage as committing to it in the first place. It’s really hard to admit that you’re headed in the wrong direction and even harder to scramble back into the right path again. Mike and I came back to the US over the Summer (and he came back to full time employment). It’s been a weird adjustment but one of the best ones we could have made I think, in terms of lifestyle, relationship and sanity. Thanks Steph. It is as big a decision, that’s for sure. I’m glad to hear it’s working out well for you – I think we’re actually going to really enjoy it! It’s all about the outlook, isn’t it? I’m actually not-so-secretly looking forward to a lot of things about being back home – you’re right, it has a lot to offer. I sure hope we get to see you guys again soon! Doing something totally new is usually 2 steps forward, 1 step back, and I think you could make a good argument that you’ve taken several steps forward, and the first one was Giant (see what I did there). You should both be immensely proud of yourself. Setbacks are inevitable in any enterprise so don’t be discouraged. 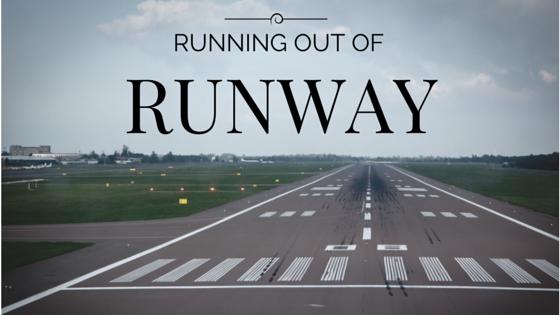 Running out of Runway is actually a metaphor I’ve been reading a lot about lately. I don’t know if your into business books, but you might want to check out “The Lean Startup” – Eric Ries. It’s at the core of a growing movement about evolving your business idea. You’re starting a new consulting business, I think you might find some valuable ideas in it. Thanks Dirk. You’re absolutely right – we do think of this as a step backward but also realize that we have taken many steps forward. It’s really the evolution of an idea; nothing really ever turns out how you think it will but it’s always interesting to see what it evolves into. Thanks for the book recommendation; I’ll check it out. I know that you and Michelle have left on your own adventures this week. I hope to read many of your stories in the coming months! Buen viaje!! While I felt a tinge of sadness at you going home I can see you are doing the right thing. Like many others have said – it’s another chapter of “Gillian and Jason”, the world will wait for you and be ready again when you are. We are home in NZ visiting right now and I realise just how challenging that nomadic life is, although at the same time itching to get away again in 3 weeks. Things I enjoyed about being home… a clean facecloth every day, my electric toothbrush, a washing machine in my house!, my own pillow, a real pantry with interesting herbs and spices in it – no doubt you will have your own list of little luxuries and grand new adventures to look forward to, wishing you every success my friends. Oh yes, Jo – I’m definitely looking forward to all those things!! A little bit more comfort won’t hurt. Good for you! There’s no failure here at all! And no right way/wrong way. You’ve made another big decision to change course. That’s awesome. I traveled for 3 years and was burning out & knew I didn’t want to be a forever nomad. That was never the goal, nor would it have meant “success.” Love having my home base and trying new things. Congrats! Thanks Lisa. It’s all about trying to find our path, right? There’s no failure here, at all! This is just a different change. A new way to do things. And, hopefully, it will be a big success! Gillian and Jason, I am so excited for you both. A new adventure, a new experience – how great is that! Know that you both have been an inspiration to so many people, and that you will continue to be so. What more could each of want than to share our joie de vie with others and you guys have done that so well. Eureka!